Facebook timeline has a option Facebook Cover, where you can show an image that best represents you as a person. 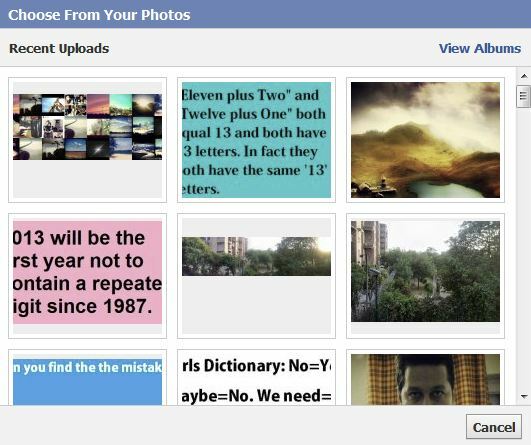 If you are a Instagram user then you can show all your instagram photos on your Facebook cover with he help Insta-Cover web app. 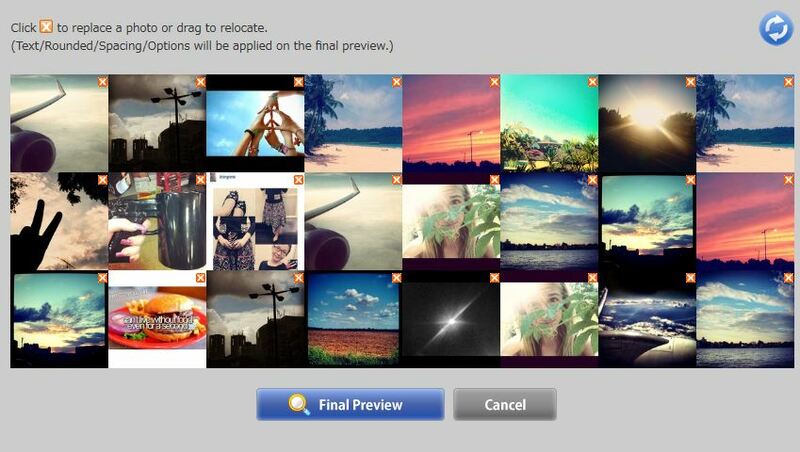 The app allows you to transform your Facebook cover photo into a collage of your Instagram photos. You can use all your Instagram personal account images but also other Instagram photos, or a specific category, or any tags of your choice. The web app is fast and easy. All you need to do is to visit Insta-Cover.com web app and log in using your Facebook account to create awesome Facebook timeline Cover with Instagram photos. 1. To get started, go to the Insta-cover home page and click on the button Sign In With Facebook. 2. Now grant permission to the app. To use the Instacover on your Facebook page. So you can create a Facebook cover with the help of web app. 3. 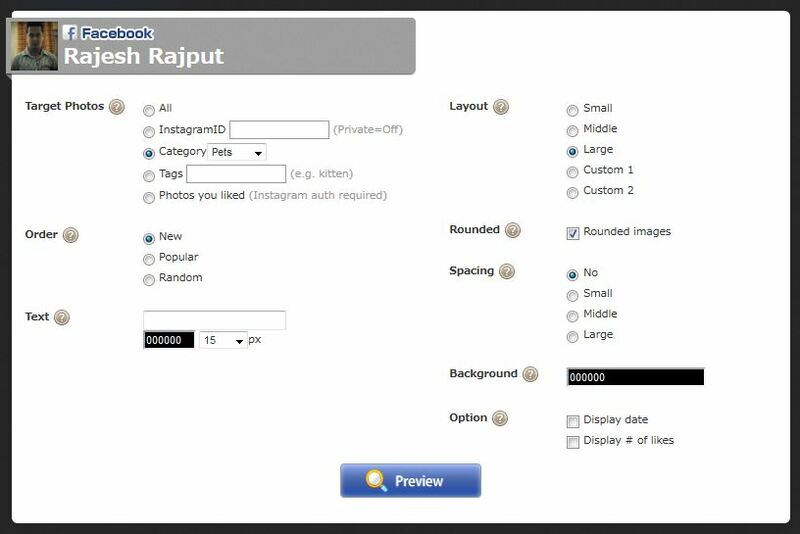 Next, you’ll be redirected to InstaCover’s panel for creating a collage, From here you can select the Instgram iD of your or your friends, also give you the option to filter your photos by using the Category or Tags fields. After setting all these, click on Preview. 4. Now you can see the preview window, it will also give you the option to delete a photo from that preview, click ion the “X” mark from the image to replace that image with the next image or click on the ‘refresh‘ button at the top right to change all images at once. After doing all changes click the Final Preview button. 5. Now Final preview create that you can use on your Facebook timeline as a cover. To use the preview as the Facebook cover, click on the “Save to Album on Facebook” button. 6. Now go to your Facebook account and you Facebook cover is ready to use. 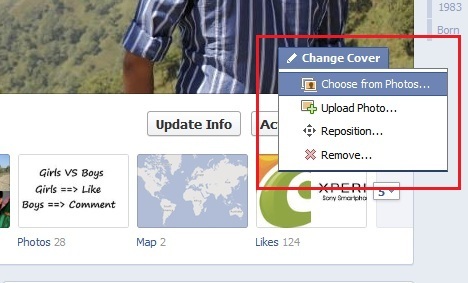 To change the Facebook cover click on Change Cover > Choose from Photos. 7. 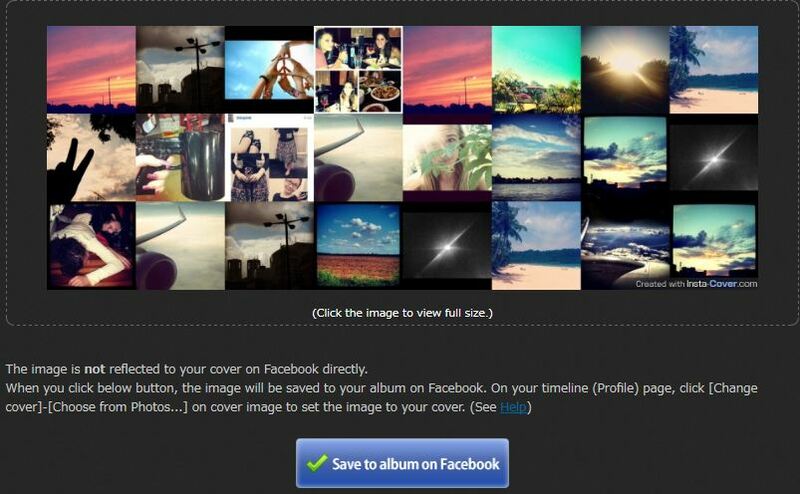 Now select the created Instacover from the images to use a Facebook Cover for your timeline. 8. Now you can see the Instacover image on your Facebook Cover here you don’t have to adjust the placement, because the image is created following the standard size of 851 x 315 pixels. Click on the Save Changes button to set as Facebook cover for your timeline. 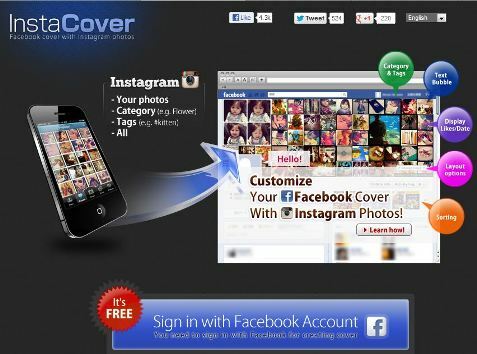 Insta-cover is the easiest way to grab all your Instagram Images on your Facebook timeline cover. With this free app you can create stunning cover photos for your Facebook.